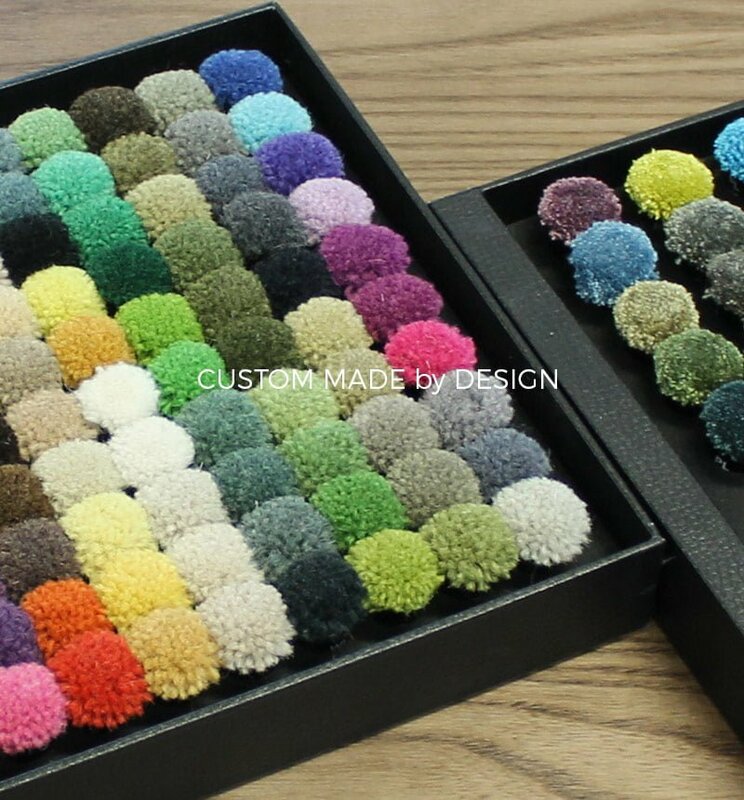 In addition to our extensive range of rug collections, we offer Custom Made by Design for unique visions, colour or size requirements. Design your own artwork or select from our catalogue of stock designs, with the flexibility to specify colour and size. 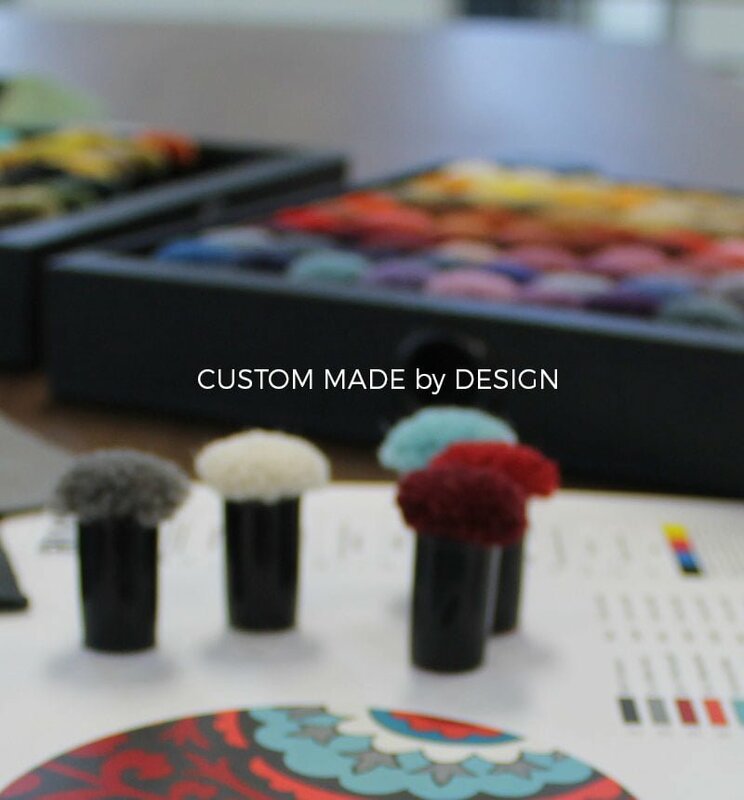 Enjoy creative freedom and specify your rug construction from a flatweave to a commercial grade and design a truly original statement piece suitable for your clients requirements. We work together with you to create a unique rug that truly compliments a space and everyday living. – CUT PILE an upright pile which exposes the ends of the wool fibre. – LOOP PILE a durable, textured finish created by a combination of higher and lower loops. – VARIED PILE HEIGHT combinations with the option to carve sections of you rug to create focal points and depth. 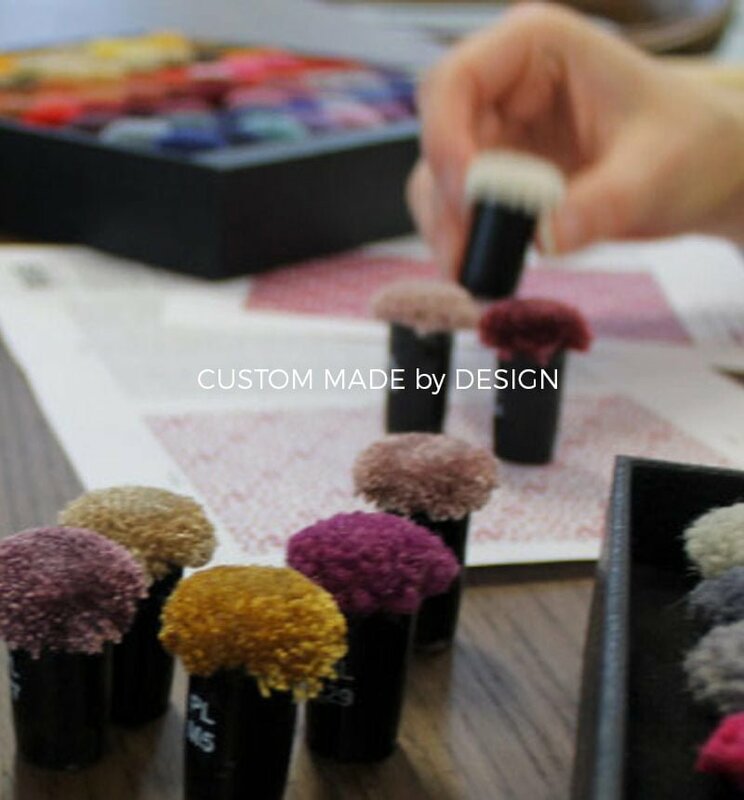 When the design and colours are finalised, determine the size and shape of the rug. Once artwork has your signature of approval, the rug will be created by skilled craftsman in India to produce an original, high quality rug in a timeframe of approximately 12 to 14 weeks. A simplified custom flatweave design process. Select a design and colour options from the Custom Flatweave range and specify a size. Place your order and it will be custom made to your requirements.